Welcome again to CAD-Resource! We’re glad you’ve browsed this far as it probably means you suspect we can help you! By now you have an idea of our core industries. From here you can click on the links above to see how we can assist in each area. The applications of CAD are endless! For building design, automotive, aerospace, shipbuilding, mechanical and many other industries, CAD delivers precision and flexibility that is now an integral part of the design process. 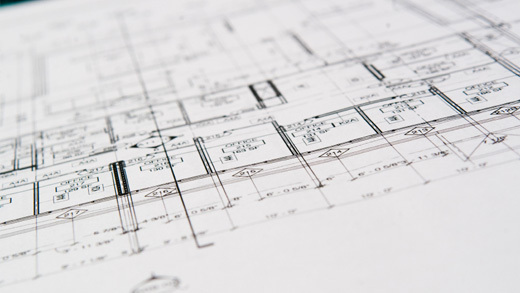 If you’re not involved in our industries – you might think CAD cannot be of much use to you. Here are two applications you might not have considered! Measure up the layout of your new property and measure up your furniture. This allows you to precisely plan the final location of all items - optimising the available floor space and avoiding pitfalls such as discovering a door cannot be opened if an object is placed where you thought it would be best located! Measured survey drawing as artwork! Impress your guests/visitors with a framed impression of your property. 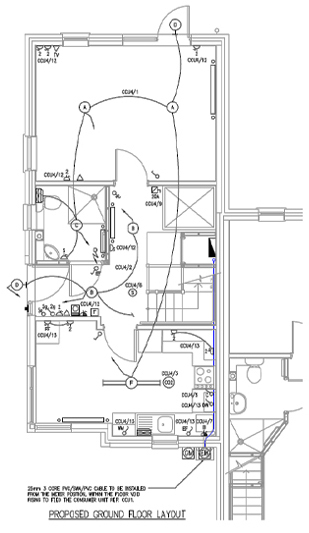 Many options are available – 3D perspective views, floor plans and elevations – in many styles, from precise computer line work to more artistic sketch representations. We look forward to working with you - call us today to discuss your requirements!